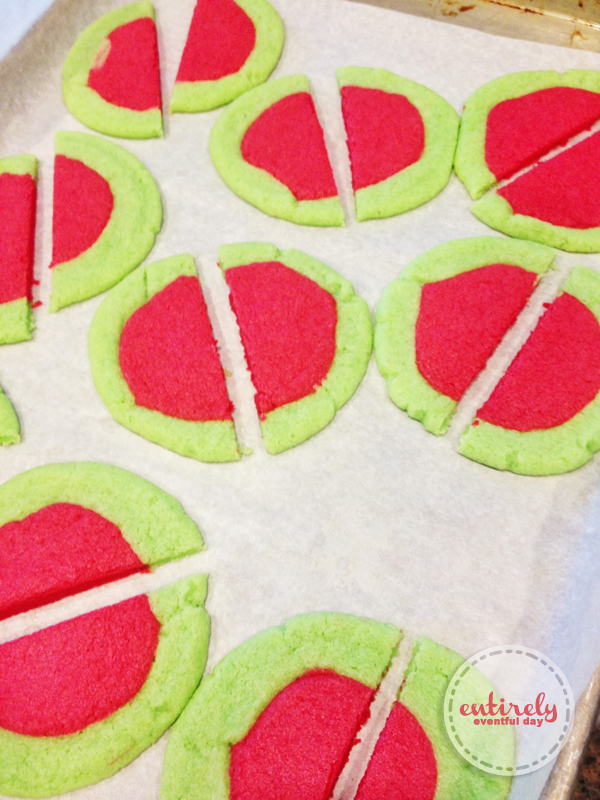 Cookies don't really get any cuter than these Watermelon Shaped Jello Cookies! 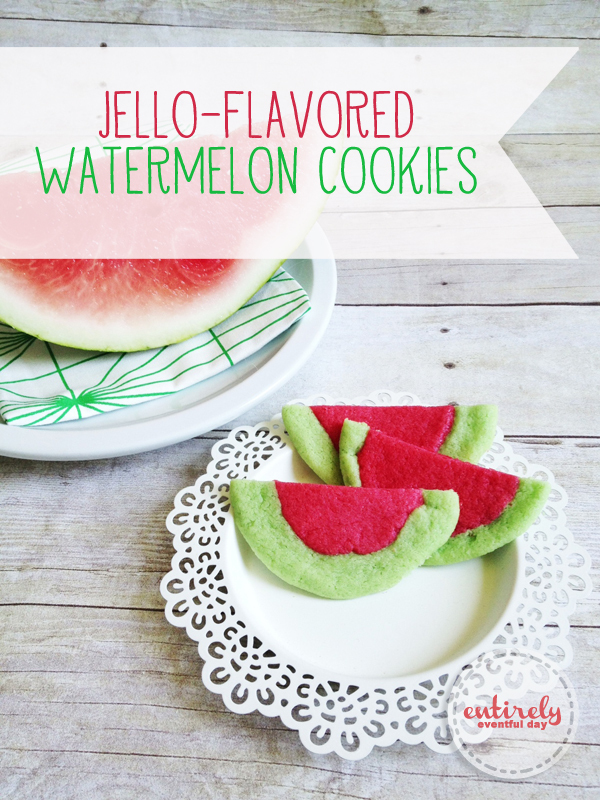 And I think these are super yummy in a reminds-me-of-being-a-kid sort of way. 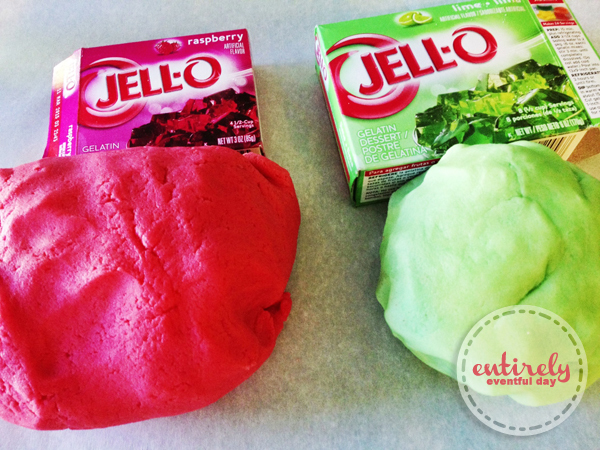 I used a fabulously fun Jello Cookies and Playdough Recipe by I Heart Naptime. Just follow the recipe directions and you will end up with this yummy cookiedough. I used Raspberry Jello because the actual Watermelon Jello is too light in color. And, of course, lime for the rind. 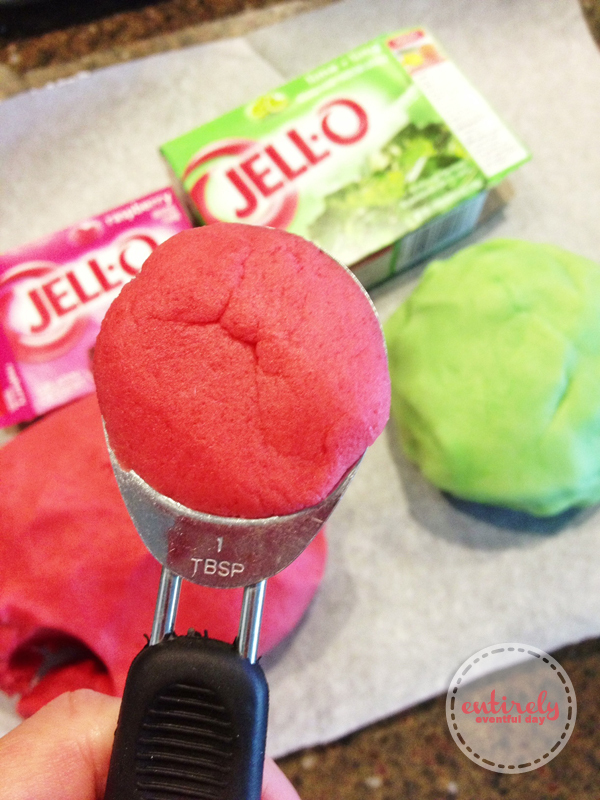 Use a round scoop (I used my tablespoon) to create the pink part of the cookie. 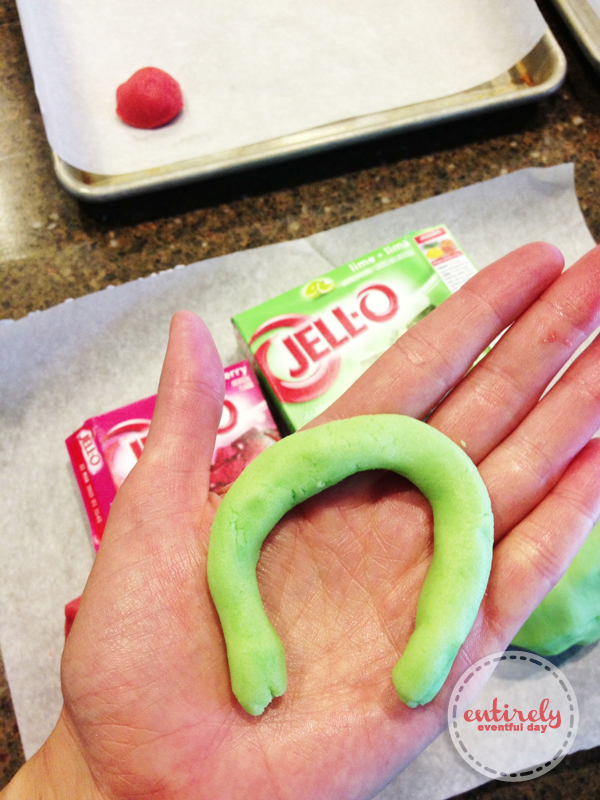 Then pinch off some lime dough and make it into a "snake." 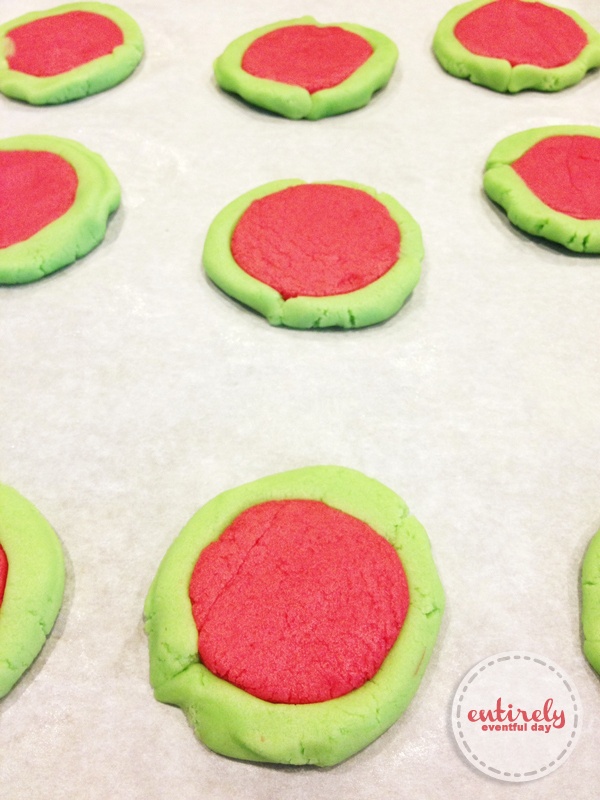 Kids love helping with these cookies! Use a little plate to flatten them out. Spray it with cooking spray first. Bake, according to recipe directions. Let them cool for 2 minutes and then cut them in half with a sharp, knife when they are still warm. There you have it! 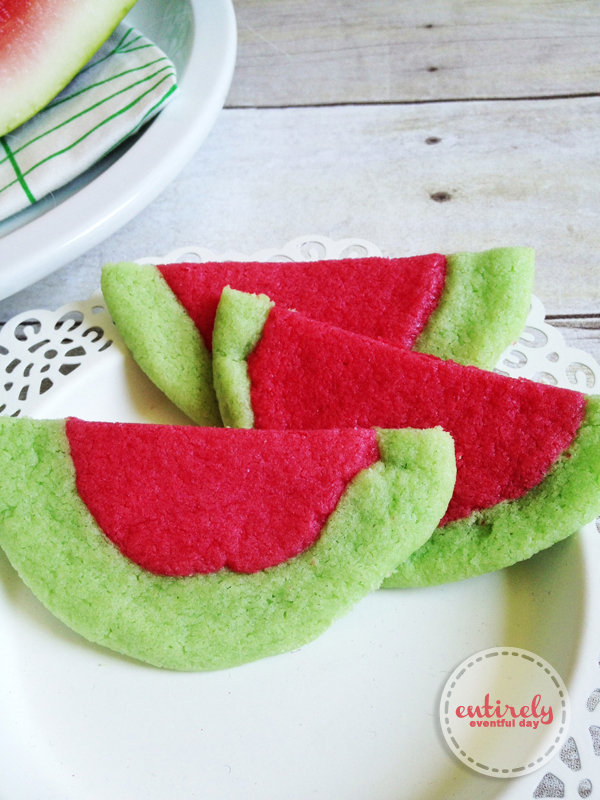 Darling and colorful cookies that just scream, "Summer time!!!" What do you think? 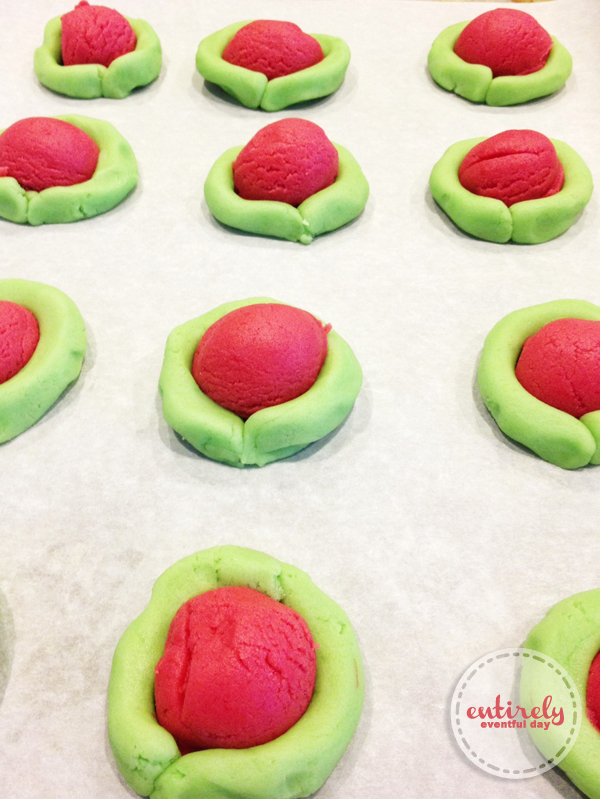 Will you endeavor to make these bad boys? Oh, and check out these fun baking tools! As my husband would say, "It's all about the tools."